To commemorate the Millennium, Jaqueline Revitt has designed this Cheeky Bear. 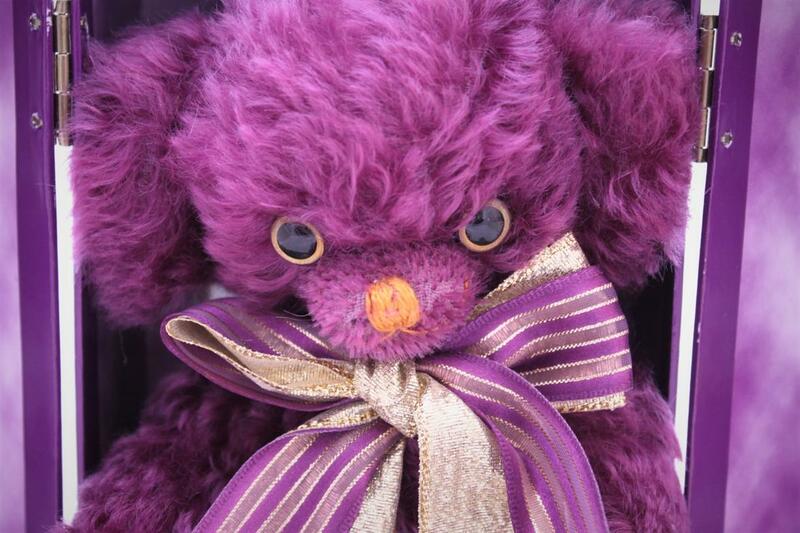 Fashioned from rare and exclusive amethyst coloured mohair with matching pure silk paws and embroidered with the year 2000, not if unique to this collection. This stunning set is contained in a special fold-out box that really adds class to this piece.